Add-a-circuit mini style blade fuse holder. Turns one fuse slot into two! Push into an existing fuse holder. 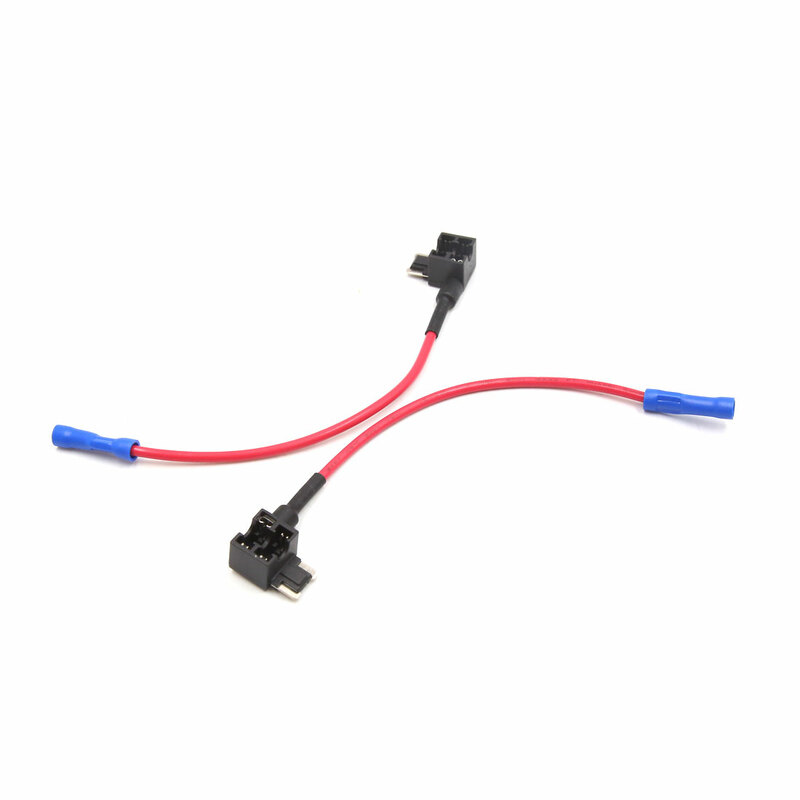 Protects original circuit and provides a wire lead for the new circuit. Ideal replacement fuse holder for auto, car, truck, boat, etc. This dual slot Add-A-Circuit/Add-A-Line/Fuse Socket provides a fuse slot for the existing OEM circuit and a second slot for a new circuit for a mobile electronic devices/accessories such as a mobile phone, radio, mobile accessories, etc. Turn Off the ignition switch, and locate your fusebox and particular fuse to be used. Remove the fuse from the slot you will be using. Insert fuse from existing slot into botton of the fuse tap. Insert fuse tap into the original fuse slot which provides power to your new Accessory/Devices. Power your new devides by connceting the open and of the fuse tap to your new Accessory/Devices. Please replace the fuse according to the rated current value indicated on the fuse box cover. Do not use a fuse with a higher rated current. If the new fuse melted after installed, then the circuit system need to be tested and should be repaired as soon as possible.